WASHINGTON — The Commerce Department is days away from releasing a final report declaring that imported vehicles and auto parts are a threat to national security. What President Donald Trump does with that report is still a wild card. The conventional wisdom here has been that Trump will follow through on threats to impose tariffs, possibly up to 25 percent, on auto products purportedly to aid domestic manufacturers, though they haven't asked for any such help. Trump: Leverage in trade talks? But given strong and rising opposition to such a move, and the potential economic damage, it's more likely the White House will use the specter of tariffs to gain leverage in trade talks with the European Union and Japan, some analysts predict. 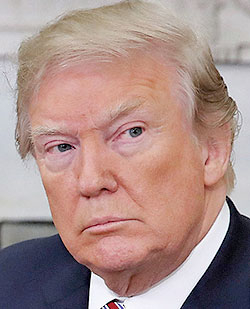 "It would be unusual to see a president, in the year before his re-election campaign, take an action as obviously harmful to the economy and consumer pocketbooks," said Scott Miller, a senior trade adviser at the Center for Strategic and International Studies. The Commerce Department's final report — the culmination of an investigation that began in May under national-security provisions in Section 232 of the Trade Expansion Act of 1962 — is due Sunday, Feb. 17, though it's unclear whether the 35-day partial federal government shutdown has shifted that deadline. The agency held hearings last summer and delivered draft recommendations to the White House in November. William Reinsch, a trade analyst at the Center for Strategic and International Studies who led the National Foreign Trade Council for 15 years, said the 232 report will be delivered on time, based on conversations he and others have had with Commerce officials involved in the investigation. 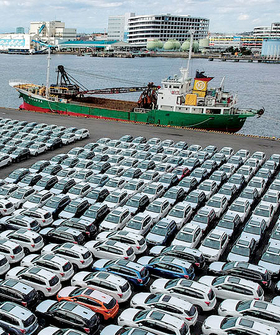 The department is expected to identify auto imports as a threat and present a range of options for the president to consider, including tariffs. In a column on the Fox Business website last week, Commerce Secretary Wilbur Ross argued for the president to have the power to answer international trade barriers with tariffs as "a key negotiating tool" to bring down those barriers. "We will not allow other countries to exploit our free market while remaining highly protectionist," he wrote. If the tariff argument prevails, alternatives Trump is likely to consider include imposing the full tariff amount on all finished vehicles and auto parts, imposing tariffs only on products from certain countries, setting tariffs somewhere below 25 percent and singling out auto parts or critical components that have some military application, trade consultants said. Reinsch, who also was undersecretary of commerce for export administration during the Clinton administration, predicted the menu of choices will also include some sort of tax break or r&d credit to give domestic automakers a leg up in the global race to develop electric and autonomous vehicles. "There are two ways to increase distance between you and the competition: Hold the other guy back or run faster," he said. Under the law, Trump has 90 days to act, but he isn't bound by the recommendations and could make moves that technically extend the decision clock, trade experts said. A Center for Automotive Research study says tariffs or quotas on imported vehicles and parts would hurt vehicle sales and raise prices of U.S.-built and imported vehicles. All vehicles sold in U.S.
Where he lands may depend on political winds, which are blowing strongly against the automotive trade being investigated on national-security grounds. Critics say invoking Section 232 for garden-variety trade disputes rather than true national-security reasons is an abuse of presidential power. Some Washington technocrats believe Trump will be politically constrained from following his instincts as "Tariff Man" — the sobriquet he gave himself in a December tweet — because of the damage caused by earlier trade moves. Last year's Section 232 tariffs on steel and aluminum, as well as taxes on Chinese imports, have hurt domestic farmers, manufacturers, retailers and consumers and have cost U.S. jobs. Auto tariffs are different, too, because they are opposed by the auto industry and have little other political support. In the metals case, by contrast, producers had lobbied for trade remedies against foreign competitors. Even the UAW has hedged on support for auto tariffs. The Center for Automotive Research last year estimated that new-vehicle prices could rise $455 to $6,875 depending on the tariff level or quota and other factors, lowering sales by nearly 500,000 to 2 million vehicles a year and wiping out as many as 750,000 jobs. Trump also faces resistance in Congress, where lawmakers in both parties and chambers are putting forward legislation to check the president's authority over trade policy and tighten the criteria for invoking the 232 provision, which allows the president to take action without congressional approval. They are unlikely to become law, because Senate Majority Leader Mitch McConnell says he won't advance legislation opposed by the president, but lawmakers are becoming more vocal in asserting Congress' constitutional powers over trade. "The false pretense of 'national security' shouldn't drive a unilateral trade agenda," Sen. Ben Sasse, R-Neb., a co-sponsor of one of the bills, said in a statement last month. One former Obama administration official suggested that Trump has more to gain from the threat of tariffs than tariffs themselves. "The economy is already paying the price for their other reckless trade moves," said this official, who asked not to be identified to keep his business ties private. "The auto tariffs are a much better threat against Japan and Europe to get them to the negotiating table." Moreover, he said, Trump won't want to anger auto dealers, a politically powerful constituency. The CAR report estimates that a 25 percent tariff applied broadly would knock $66.5 billion from new-vehicle dealerships' annual revenue. The president isn't obligated to impose a specific remedy, Miller said. In 1986, the Reagan administration, for example, pressured four trading partners to voluntary restrain exports of machine tools to the U.S. after a rare 232 finding that they could endanger national defense. Several experts say the endgame for policymakers such as U.S. Trade Representative Robert Lighthizer is getting Europe and Japan to agree to quotas, as Japan did for autos in the 1980s. Last year's metal tariffs offer a template for how the White House might keep the tariff threat hanging over those negotiations even with a 90-day action deadline. In March, Trump announced 25 percent duties would be implemented in 15 days on several producing countries. Canada and Mexico were temporarily exempted to see if a resolution could be agreed to as part of NAFTA renegotiations. Less than two weeks later, Trump postponed the duties until May 1 while officials looked for alternative solutions. South Korea, Argentina and Brazil agreed to quotas. Mexico and Canada were extended until June 1, but eventually were hit with the tariffs. If Trump goes ahead with auto tariffs, he will be immediately challenged in court by state attorneys general or lawmakers with auto operations in their districts, said Peter Allgeier, a former U.S. deputy trade representative. "And I think it would be very hard to defend it."